The Azure Cost Monitor is now available via https only. Every access to the http url will be redirected to the secure endpoint. This should prevent accidental unsafe usage of sensitive data via http. In the past the Azure Cost Monitor used URLs with hashbangs in it, which are unreadable and not easy to remember. As the hashbangs aren’t used in the urls anymore, please update your bookmarks. Are you a customer with multiple EA contracts or a service provider who is working for several EA customers? If so, this feature is for you. Users with multiple contracts now can see a little trash icon in the contract dropdown, which allows to remove a non-active contract from the system. This should give everybody the option to stay clean with his data. The Azure Cost Monitor now syncs the data of the current month automatically every night. As soon as a new contract comes into the system, also the existing historic data will be synced. So the manually triggered action for data sync isn’t needed anymore and it will be removed in the next weeks. The last sync time for every month is now visible in the report sheet. This should give everybody more transparency and control about the automated processes in the backend. Whenever you recognize a last sync time higher than 24 hours, please open a ticket. 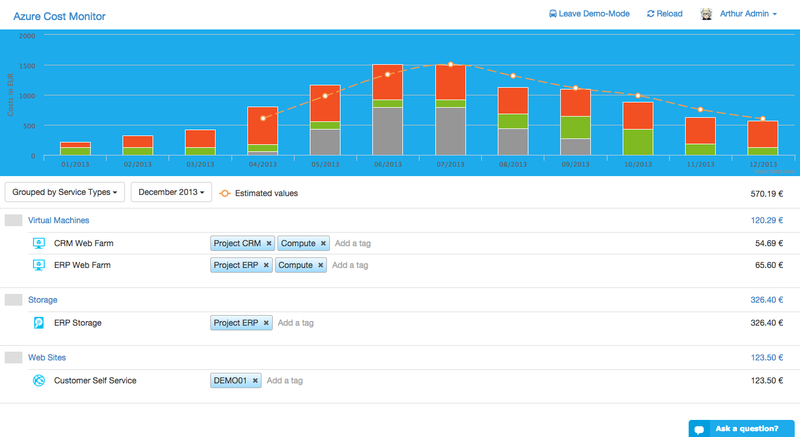 We hope these little improvements will help everybody to get a much better experience with the Azure Cost Monitor. If you have any other wishes, feel free to request them in our feedback portal. Azure supports deployment from GitHub which works very well for nodejs applications, but angularjs applications need to be compiled to minify the code and rename the images, what prevents caching issues in the browser. The guys from Codeship are offering one of the best cloud platforms to enable continuous deployment for Azure WebSites and many other services. 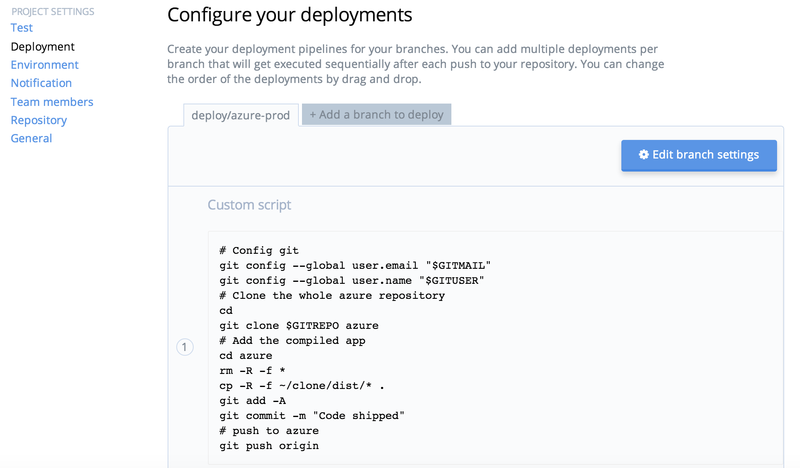 This tutorial describes a continuous deployment process for an angularjs application to Azure WebSites, based on Codeship. The source code is hosted in a public GitHub repository and the angularjs app is scaffolded with yeoman. All the build output is stored in the dist directory. After all preparation, a simple push to the projects GitHub repository lets Codeship start building your application instantly. The first build takes a little bit longer because Codeship prepares the dependency caches. The second one should be done in about 1:30 minutes. 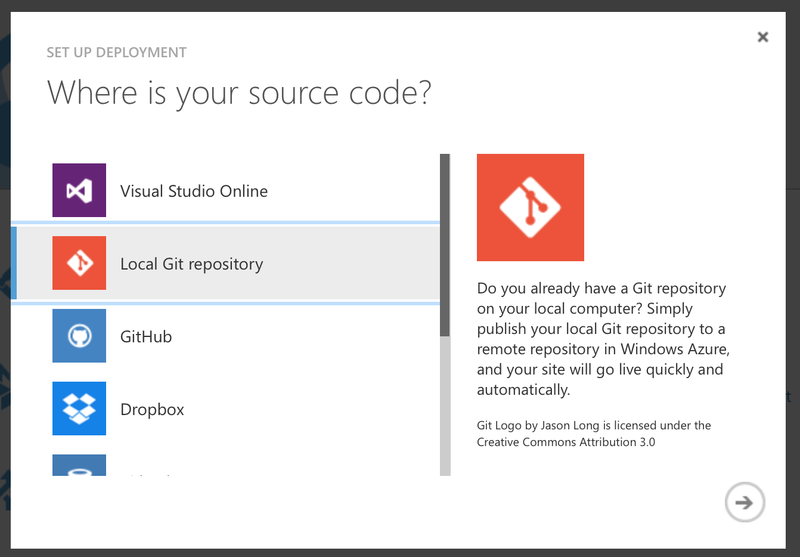 This means Azure hosts a git repository and everything that is committed into this repository will become active in the Azure Website. After that, the next goal is to let Codeship commit all changes into this repository after every successful build. Codeship allows to add a deployment script under the project settings for specific branches. In this sample every committed change from the master branch is deployed. In a production environment the system should only be triggered from a specific deployment branch, e.g. deploy/azure. cp -R -f ~/clone/dist/* . The GITREPO variable contains the https based git URL from the local git repository of the Azure WebSite. It includes username and password in the URL, e.g. The deployment credentials can be found in the Azure portal for the Azure website. Finally a simple push into the Git repository of the project triggers a build via Codeship and a deployment into the right Azure WebSite. Users do not loose access to the SaaS application except for a couple seconds after redeploying when the IIS load the new application. This fully automated process supports every agile software development process and helps you to focus on making features and not updating servers. The Microsoft Azure Cloud offers many different resources, e.g. virtual machines, cloud services or websites. Some of these resources produce comprehensible costs e.g. virtual machines, but some resources produce costs that are indirect and hard to analyse, like costs for “Data Traffic”, “Visual Studio Online” or “Data Management”. To solve this problem and facilitate the cost control, all service types are now visible in the Azure Cost Monitor. The new category for grouping this service types helps to identify the cost drivers in different subscriptions and projects. Starting with Microsoft Azure teams or small departments often begin with one subscription. When time goes by the subscription contains more and more resources without a simple option to migrate them into new project specific subscriptions. Managing costs for this kind of subscription is not easy. Because of that the Azure Cost Monitor now offers a new feature which should really help to stay in control. The new “Cost Tags” feature is an easy and comfortable way to categorize services. 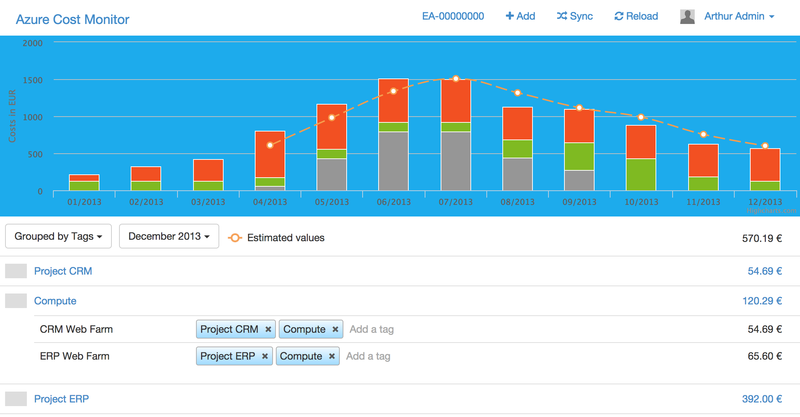 These tags can easily be used to visualize costs per responsible person, department, project or cost center. This allows cost management on a very granular level and aligned to the individual existing organisational structure. This should really help to bring more control and transparancy into the Azure EA agreement. If you see any other requirements or needs feel free to drop the idea in our feedback portal. BTW: As soon as Microsoft Azure delivers the new Azure resource tagging we will allow to mix up our custom tags and the Azure resource tags. There will be no need to do something manually from your side. Microsoft offers a very lucrative deal for Azure customers: When your company is willing to do an upfront investment it’s possible to get an enterprise agreement. Besides dramatical price reduction this agreement gives your engineers the freedom to consume azure services as much as they need, the operations team is able to assign subscriptions for every team and your company gets an invoice that is compliant to local financial regulations. But what about your financial controllers? How can they keep track of the costs to ensure that the the limits are not exceeded? Microsoft delivers weekly consumption report that need to be checked on a regular basis. A second important source is the monthly delivered summary e-mail about the monetary commitment balance. Microsoft allows to create as many subscriptions as needed, this means it’s possible to give every team or project a separate subscription payed from the enterprise agreement. By that access rights and roles can be modelled. Multiple usage of the same service should be cumulated in one report entry. Analysing costs on subscription level without using a complex pivot table. 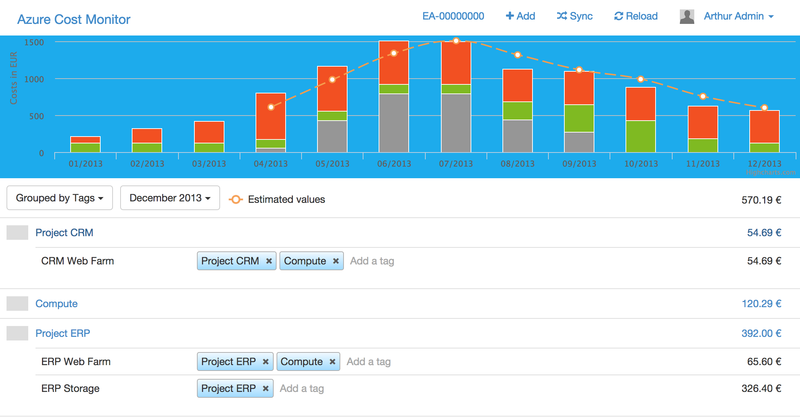 Tagging different resources helps to manage multiple projects in a subscription. Cost-Prediction based on the data of the past months. Cost-Alerts when specific limits are exceed for enabled EA customers. The service is able to process the CSV files from the EA portal and gives a graphical overview including subscription drill down. It is based on modern cloud technologies exclusively e.g. Azure Table Store, Azure WebSites and Azure WebJobs. That’s why the Azure Cost Monitor scales as good as Azure scales and I would like to invite all of you to join this service (https://costs.azurewebsites.net). I would like to extend this service aligned to the requirements you bring from the field, so please visit the feedback portal of the Azure Cost Monitor and enter your ideas or vote and comment for existing ones.